Every year, up to 100,000 American horses are transported in inhumane and barbaric conditions to foreign countries only to be slaughtered for human consumption. Critical to stopping this horrific practice is passage of the Safeguard American Food Exports (SAFE) Act (S.1706/H.R.113) The SAFE Act will permanently end the possibility of cruel slaughter of our beloved horses on American soil and will permanently end their export for slaughter abroad. Take a moment right now to contact Congress and urge their support of this important legislation. Every step of the process in the horsemeat trade is fraught with heartbreaking pain and terror. 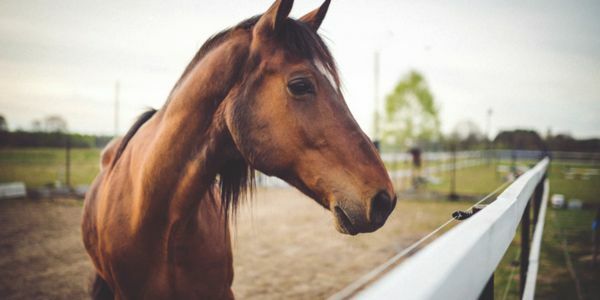 Most horses arrive at the slaughterhouse from livestock auctions where "kill-buyers" fill their trucks with former show horses, horses that families can no longer afford, elderly family pets, retired racehorses, workhorses and foals. The horses are crammed into overcrowded trailers and then endure days of traveling without food or water. They are often seriously injured or killed in transit, and if not, they face a gruesome and inhumane death at the slaughterhouse. There is a solution to stop this barbaric practice—passing the SAFE Act. Contact Congress now and urge them to pass the Safeguard American Food Exports (SAFE) Act. As one of your constituents, I strongly urge you to support the Safeguard American Food Export (SAFE) Act (S.1706/H.R.113). This vital legislation will prohibit the grueling transport and brutal slaughter of our horses for human consumption. We must end the export of America's horses for slaughter, a practice that I find intolerable. American horses are being crammed into trailers and shipped across U.S. borders into Canada and Mexico, where they are slaughtered with outrageously brutal and inhumane methods, and then shipped into Europe and Asia. I am horrified by this sad reality and urge you to act now to protect America's horses and fully support the passage of the SAFE Act (S.1706/H.R.113).